I'm Back Just in Time for Chili! If you don't already know, let me be the first to tell you that starting a new job really takes a lot out of you - especially a job that forces you to learn something new on a daily basis! It has definitely been a journey since I started my new position and I love it, but it hasn't left me with much energy to be "Quinntessential." However, I'm no longer going to let it put my crafty-cooky side on the back burner. 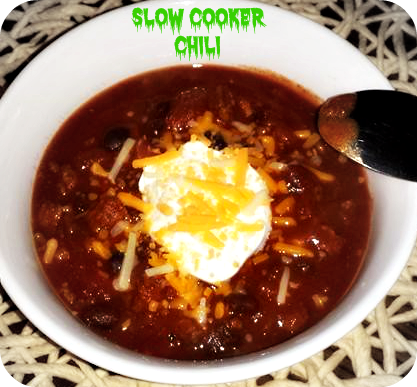 I'm back and ready to party - and what better way to reintroduce myself than with slow cooker chili for the bone-chilling season to come!